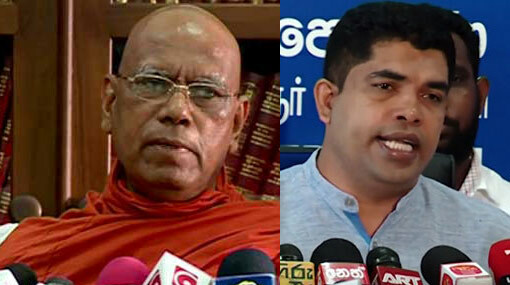 Venerable Dr. Omalpe Sobitha Thero says that it is doubtful as to whether the Finance Minister had sought the opinion of the President, Premier or relevant parties before amending the duties on beer. He stated that reducing the prices of beer just because the number of people consuming hard liquor is higher will not prevent people from drinking alcohol. However, this decision of the Finance Minister which has been made without consulting the President, Prime Minister or any other responsible party cannot be condoned, he said speaking to reporters in Colombo. The 2018 Budget had proposed the removal of the Excise (Special Provisions) Duty applicable on canned beer. Delivering the budget speech, the minister had said that out of the total liquor consumption, almost 49% is from illicit sources while 85% consume hard liquor. Meanwhile the decision to remove the tax imposed on canned beer had also come under fire from certain sections of the unity government. The Sri Lanka Freedom Party Youth Front’ s President Shantha Bandara stated that reducing the prices of beer through the budget has no policy wise consistency at a time when the President is moving the country away from drugs and alcohol. Speaking at a press briefing in Colombo today (14), the former MP said that the number of people consuming alcohol is less than 2 million and that under such a situation reducing the prices of beer through the budget is not a good thing to do. Therefore he called for the immediate revision of excise duty on beer.